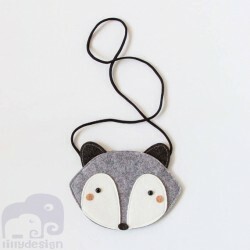 Super cute raccoon bag designed by Mini Dressing. Size 19,5 x 13 cm. Very cute bag for a little girl. Can be a great gift !